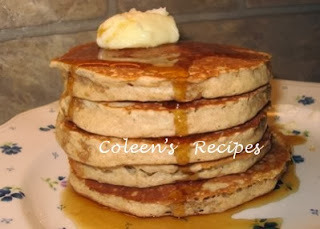 Our children were raised on homemade pancake syrup for two reasons. First and foremost, it was economical and easy to make. Secondly, the kids didn't care for the (waxy?) aftertaste of commercial pancake syrups, so homemade syrup was their request. Now, I know there are people who will write and say they can't eat anything but real maple syrup; I understand that. However, the price of real maple syrup is almost frightening, these days, ($25 for a small jug here in Alaska) and this homemade syrup is a tasty alternative. I like to make it the night before and pour it into a mason jar and let it sit at room temperature (until morning). I then microwave it for a minute or so when the pancakes are done. 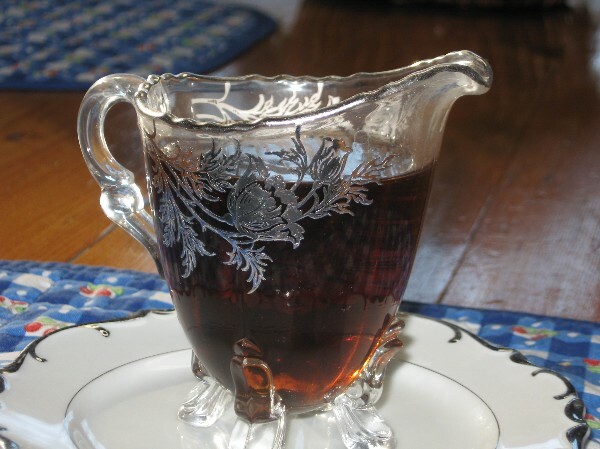 If you are one of those people who grew up with homemade syrup, you know that it is a lot thinner than some of today's commercial syrup (especially when its very hot). I'm guessing that commercial syrup is thickened with high fructose corn syrup. On the other hand, it is a little thicker than real maple syrup. Put everything in a large, heavy pan (use a DEEP pan because this syrup will bubble up as it boils). Boil hard (not stirring) for 3-4 minutes, then remove from heat. You can use it right away, but it will seem thin. The syrup thickens as it cools. Use it just like you would any pancake syrup. We like to eat the syrup warm (not hot). NOTE: Bring the ingredients up to a rapid-crazy boil over high heat. The liquid will try to "climb" the walls of the pan, so make sure your pan is big enough. Once it's boiling like crazy (don't stir), turn the heat down to medium high and boil for 3 to 4 minutes. I boil mine for 3 minutes, but if you want the syrup to be a little thicker, go for 4 minutes. If you boil it much longer than that, the syrup will form a few rock candy crystals in the bottom of the jar (fun to eat). 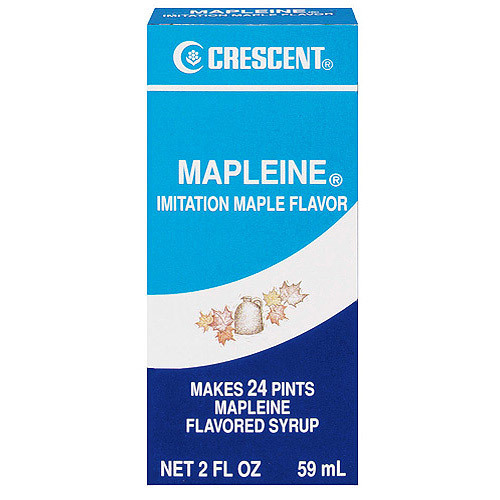 NOTE: I prefer a maple flavored extract called Mapleine (Walmart carries it), but if you can't find it, regular maple flavored extract works well too. My family says they can't tell the difference.